SAP is well-known as the originator of “enterprise resource planning” (ERP), the business process automation software that manages back office functions through a system of integrated applications. Another game-changing innovation from the enterprise software leader is the SAP* HANA* in-memory data platform. It provides a lightning-fast foundation for critical enterprise applications such as Finance, Sales & Distribution, CRM, Supply Chain Management, HR, Big Data Analytics, and more. SAP HANA accelerates business processes, delivers more business intelligence, and simplifies IT environments because it processes transactions and analytics in-memory, on a single data copy, to deliver real-time insights from live data. 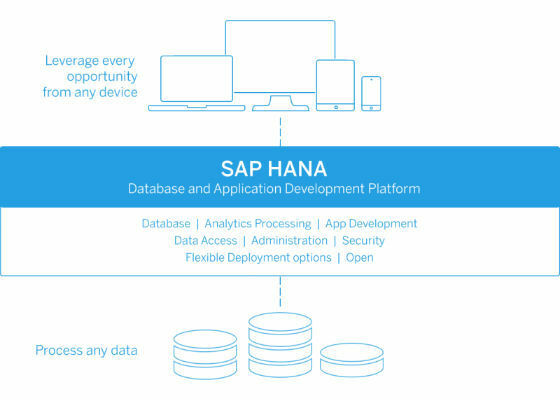 With SAP HANA, developers can quickly prototype, validate, build, and deliver smart and modern applications using flexible tools in the cloud or on premise. But production SAP HANA systems typically require high-end infrastructure to support mission-critical business applications, and IT departments may be reluctant to carve out shared space or provide costly, dedicated systems for use as application development playgrounds. To address that, SAP Senior Director of Global Developer Relations Craig Cmehil started experimenting about a year ago with a portable, self-contained SAP HANA development system. Craig took a page out of history: since the late 1970’s, PCs running high-level languages and interactive software tools have offered programmers untethered freedom. Developers use PC-based tools to develop and test enterprise applications without impacting production environments, producing higher-quality code, faster than ever before. Craig applied that approach using SAP HANA, express edition—a modified version of the full SAP HANA product—on an Intel® NUC mini-PC. SAP HANA, express edition provides optimized in-memory SAP HANA capabilities for resource-constrained environments, while still offering a rich set of capabilities. Developers can install and use SAP HANA, express edition for free on systems with up to 32 GB of memory—a perfect fit for a small but powerful Intel NUC mini-PC decked out with lots of RAM and a speedy SSD. Intel NUC devices are tiny, affordable PCs packed with high-end specs. For example, the Intel NUC Kit NUC6i7KYK (also known as “Skull Canyon”) is an 8.5-inch by 4.5-inch by 1-inch PC built with a quad-core Intel® Core® i7 processor and Intel® Iris™ Pro graphics. With up to 32 GB of RAM and a lightning-fast, high-capacity SSD, you can use the mini-PC for serious gaming, for graphics-heavy content-creation, or even for running heavy, enterprise-class workloads. Intel NUC mini-PCs deliver the performance needed to support an SAP HANA in-memory database. 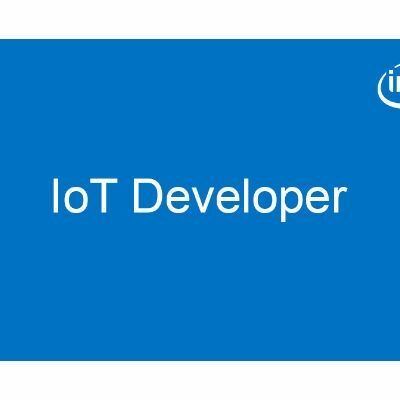 The combination opens new doors for application developers who can now develop applications on an Intel NUC with SAP HANA, express edition and easily transfer them to Intel® Xeon® Platinum processor-based systems to run them in production. Craig discovered he could set up an isolated platform for agile application creation and testing that did not interfere with production systems or eat up IT resources. And because Intel NUC mini-PCs are small enough to fit in a coat pocket or backpack, Craig could work remotely, from nearly anywhere. Other scenarios that Craig has seen in the real-world include university research projects. For example, a university in the USA is currently using sensor technologies connected to the Intel NUC running SAP HANA, express edition. The portable systems connect to the SAP Cloud Platform which does Big Data analytics on the massive volume, variety and velocity of unstructured data to rapidly generate predictions and insights. “We’re looking at thousands of daily downloads of the free SAP HANA, express edition for uses like that,” Craig noted. Another use case Craig found compelling was at a friend’s dentist’s office. “Since I live in a small town in Germany, I know a lot of small business owners there,” Craig explained. “I’ve shown a dentist friend of mine a way to improve the diagnosis of mouth pain by using the image classification model from SAP* Leonardo that is accessible via SAP HANA, express edition on an Intel NUC, connected to her dental imaging system.” He showed her a new way to evaluate X-rays without spending the time and money to consult a specialist, and the portable, self-contained system works without risking patient confidentiality on the public cloud. According to Craig, medical doctors and other professional service providers who use imaging devices also can save time, money and improve customer confidentiality from that approach. Looking to the future, Craig sees great possibilities with portable, self-contained SAP HANA systems using the massive memory capacity made possible by Intel® Persistent Memory (also known by its code-name, “Apache Pass”). Intel recently demonstrated that technology with the SAP HANA in-memory platform at the SAP Sapphire conference in Orlando, where Intel’s Lisa Davis, Vice President of IT Transformation, presented the first public demo of the technology. Big, affordable, persistent memory will be a game-changer for SAP HANA users. More data in-memory equates to better, faster insights and more business velocity. If you’d like to try out this versatile development platform for yourself, download the free trial version of SAP HANA, express edition and the how-to guide with all the information you need to get started with SAP HANA, express edition on an Intel NUC mini-PC. If you’re going to SAP TechEd 2017, September 25-29 in Las Vegas, stop by Intel booth #100 to see a demo of SAP HANA, express edition in action on the Intel NUC mini-PC. You can follow along with Craig as he continues his experiments with Intel NUC mini-PCs. And don’t forget to follow me and my growing #TechTim community on Twitter: @TimIntel. Tim holds a BSEE in computer engineering from BYU, PMP certification, and a MBA in finance from the University of Portland. Name a website where i can test an SQL script?